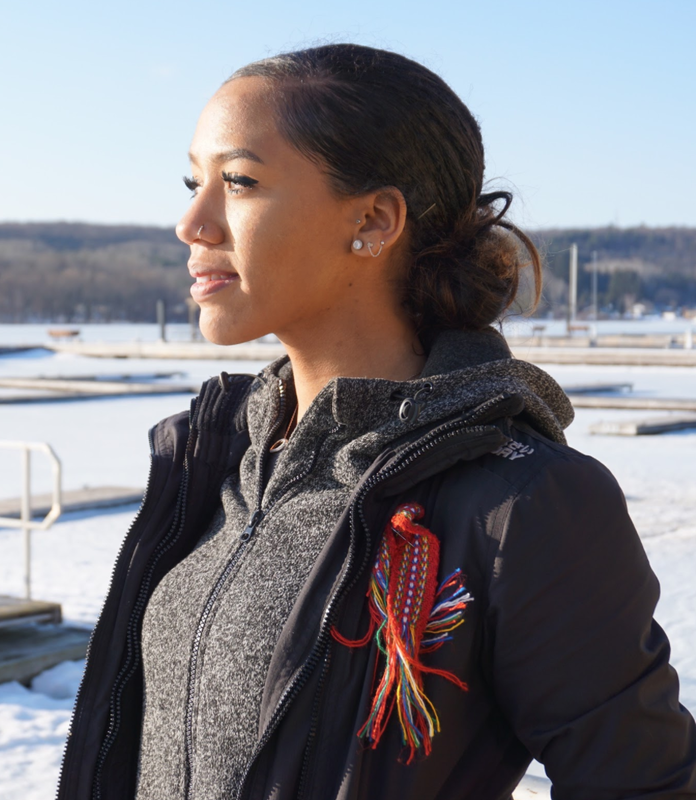 As a Métis-Jamaican woman and mother to a one-year old daughter, Larissa’s vision of a Canadian society seven generations into the future lies at the foundation of her work as an anti-racism policy developer, decolonization and Indigenization researcher, community volunteer, professional public speaker, and undergraduate student at York University. Beginning her humanitarian journey at 16 when she fundraised to travel to and contribute to libraries at Let Us Shine Academy in Kpandai District, Ghana and Kpandai Reserve in Alberta, Canada, she has continued to pursue service work academically and professionally. Larissa majors in both International Development and Communications, and in her second year she completed a full-year exchange to Turkey where she studied International Law and worked with refugees during the 2015 Ebola and refugee crises. Larissa became a Terry Fox Humanitarian national scholar that year and has since represented her university at several United Nations conferences and programs. Now 23 years old, Larissa has placed more focus on reinvesting her education and resources into Canadian communities. Larissa is currently volunteering 30 hours per week leading initiatives to improve anti-racism and Indigenous accessibility policies at her university, and works as the university’s Aboriginal Special Initiatives Coordinator. Larissa is a student researcher and content creator with projects exploring decolonization, Indigenization, and identity. Taking more responsive action, Larissa volunteers regularly with Indigenous and Black/African diasporic Toronto communities through organizations such as the Aboriginal Legal Services of Toronto and JaneHub. Larissa takes the insights and skills gained from these roles, and with seven years of professional speaking experience continues to empower youth through free public speaking and workshops across Canada. Passionate about international relations, Caroline recently moved back to Canada to join Credo, a social impact consulting start-up based in Montréal. Her clients are organizations who seek to rethink, accelerate or measure the impact they have on society and the environment and include nonprofits, businesses, foundations and public institutions (see more at www.credoimpact.com). Some of her current mandates include designing and implementing a community investment policy for a large corporation and helping a social enterprise create its international expansion plan. Prior to joining Credo, Caroline completed her Master of Public Policy at the University of Singapore’s Lee Kuan Yew School of Public Policy, where she won the Lee Kuan Yew Prize. Her research focused on the political economy of international development. For her Master’s capstone project, she and her team consulted with the Asia-Pacific Economic Cooperation (APEC) to conduct research on globalization, employment and inequality. With friends, she also co-founded a group promoting the use of innovative tools and practices in governance. Caroline’s policy experience spans three continents and the public, private, nonprofit and academic sectors. A policy wonk working in the spirit of the startup hustle, she believes in the role of youth in solving the world’s most pressing social and environmental issues. 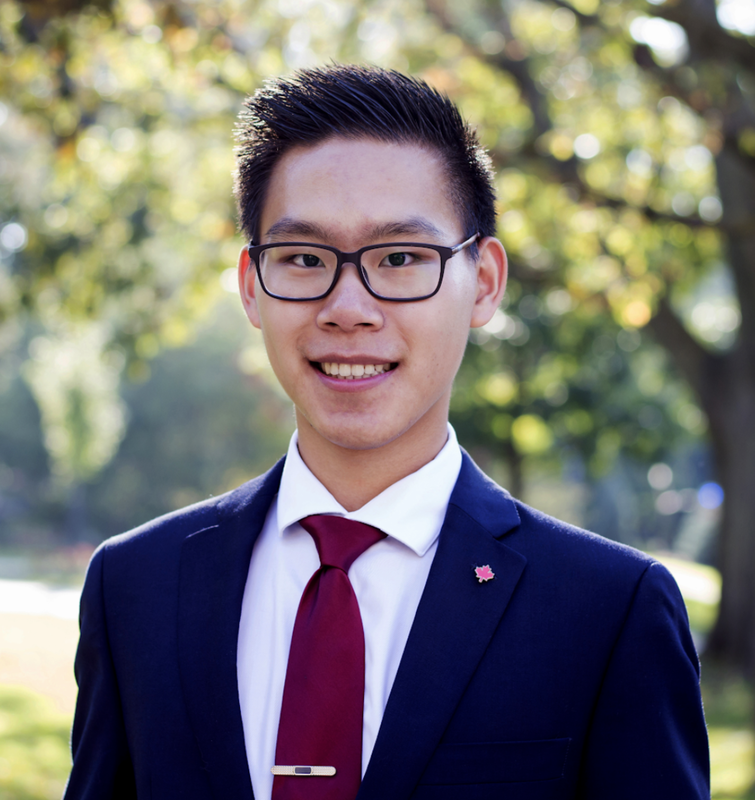 Chris Zhou believes that young people do not need to be given a voice. They already have one. As a member of the Prime Minister’s Youth Council, Chris brings the ideas and concerns of young Canadians directly to the Prime Minister and senior government officials. With a focus on youth engagement and employment, Chris has provided insights into the creation of the Canada Service Corps and the development of the Youth Employment Strategy. He has also advised foreign governments on the creation of their own high-level youth councils. At the same time, Chris sits on an advisory council for the Canadian International Education Policy Working Group. In 2017, Chris joined Julia Gillard, Chairwoman of the Global Partnership for Education, in lobbying the Canadian government to increase its commitment to global education, leading Canada to pledge $180 million towards this cause. As a Global Vision Ambassador, Chris partnered with the Province of PEI to establish private- and public-sector partnerships between organisations and to obtain market intelligence on a trade mission to China. Among other results, Chris delivered key contacts to the Premier for the integration of UnionPay financial services into the Province’s tourism sector. Recognising the importance of international trade within the Asia-Pacific region, Chris has also worked with Global Affairs to pitch Canada’s investment opportunities at the 2017 APEC CEO Summit in Da Nang, Vietnam. Chris currently studies Health Sciences at McMaster University. He is excited about an upcoming full-year exchange to Tsinghua University’s School of Economics and Management. 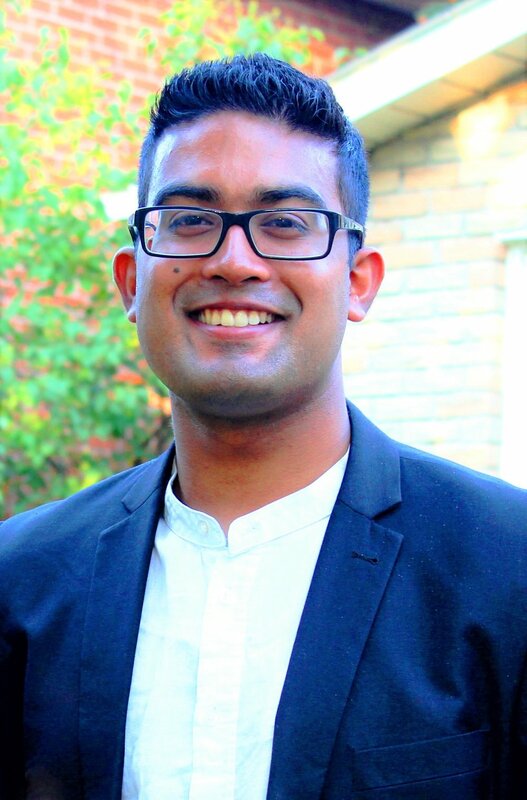 Bahrain-born Indo-Canadian, Aaron Joshua Pinto is driven by the pursuit of potential and the intersection of public policy, global affairs, and innovation to solve community challenges. Years of passionate engagement in socioeconomic issues have taken Aaron from the crèches of post-Apartheid townships in Cape Town to Ukraine’s polling stations all the way to Colombia's hilltop villages. Aaron’s avid interest in global affairs also steered him to Central and South America and Canada's Arctic where he partook in trade and development missions. Aaron's community involvement has included the development of a scheme providing nutrient dense food hampers to people below the breadline and the creation of an award-winning biodegradable mosquito net for malaria prevention in Africa. He also crafted an index using open-source data that gauges regional security fluxes for early warning, and is now working out a method to ensure secure aid transfers to the poor using blockchain. Aaron was elected as a City Youth Councillor, has written on security issues as a NATO Canada Fellow, and negotiated and spoken at high-level fora, including those of the Commonwealth and the CTBTO. He was appointed as Canada's Youth Ambassador to the OSCE and is a member of Canada’s Volunteer Awards National Advisory Committee. Aaron has been recognized with the Queen's Young Leaders Award by HM Queen Elizabeth II and is designated a Young Leader by the Global Baku Forum.